Has The Dmoz ODP Outlived Its Usefulness? This is not going to be a very neutral article. The Open Directory Project sounded like a good idea at the time but as with any project that starts off with good intentions as being a directory built by people for the people has in my estimation become a closed club with built in prejudice against adding new members. Many others on the Internet are improving their websites, are they improving theirs? I have read many stories about the number of times that new people have submitted their sites to the project with never hearing a word of response back from any editor at the directory project. I can tell you from personal experience with submission to the project that over the past three years and the many times that I have submitted, never once have I received a reply from an editor or staff member. I have written to various editors and staff members and have not so much as gotten a reply of any type. I had followed all of the rules to a tee; making sure the proper category was selected and the Title and Description was properly written. After not hearing from them after several months I re-submitted and re-submitted again after that with the same blank response. See Important Note Below. They tell you should only submit one time. You should submit your site to the single most appropriate category that is directly relevant to your site’s content. Please only submit your site one time. The ODP editors reserve the right to use their editorial discretion to determine which category or categories your site will ultimately be placed. Well, after a year and not hearing anything back the first time, I figured that was a long enough period of time to hold off before submitting again. How long do you have to wait before hearing a no response the second time? Depending on the activity level of the editors in your area, it may take up to 2 weeks or more for your site to be reviewed. 2 weeks or more. How much more? They say not to be upset if your site is not accepted and it is totally up to the discretion of the editors and staff to approve a site. We don’t accept all sites, so please don’t take it personally should your site not be accepted. Our goal is to make the directory as useful as possible for our users, not to have the directory include all (or even most) of the sites that could possibly be listed or serve as a promotional tool for the entities listed. Their goal is to make the directory as useful as possible. Come on, how useful is the directory when it has categories that never grow or change or add to the listed sites. Are we to assume that these original sites are the caretakers on the Internet? A few categories have the Add URL link disabled, and don’t list or accept submissions. They say adding a site is easy. Right, give me a break. They should say submitting a site is easy but adding a site to our ODP directory is one of the most difficult things on the Internet, especially if you happen to be in a highly competitive Web field such as Internet Marketing and Online Advertising and we choose to exclude you from our directory no matter how much online quality content you have. The truth is, the ODP has sites that have not changed in substance and design for years. Additionally many of the sites listed in the ODP have not even added any new content to their websites in years. Take a look at the Internet Archive Way Back Machine to view sites when they first went online. Many have not updated their copyright dates and the Google cache results show that they do not even know how to properly set their titles and descriptions in their meta tags. Let’s look at three case studies listed on the ODP 11/26/05. Listen, sorry first off to the following business websites that I am going to talk about. But, I am going to tell it like it is and because I know the editors at the ODP could remove these sites after they read this, and I hope that does not occur, but that is why I have included an image of the results on the date stated as a proof of what is going on. If the following sites should also correct the items listed below I will be more than happy to write an article about how a business had improved their website design. Additionally, let me say that no one is perfect in their approach to Internet marketing and online advertising. Everyone has a unique trademark style and I do not really relish the thought of exposing the ODP in this way. First off we can tell from the captured image of the website that the last time the copyright was updated was 2003. Next let us take a look at all the Google pages for the site. It is simple to see from this illustration that the site has 6 pages displayed of approximately 8 total pages. One more test to be performed and that will tell us how the pages have changed over the years. To perform this test simply go to the Internet Archive Way Back Machine and type in the website: a3businesssolutions.com To view how the pages have changed very little over the years with very little new content simply click on the various links and the proof is in the pudding. The category is Internet Marketing. This is not some fly by night category. Any site listed in this category should have everything in place. To have a site like this without proper copyrights, very little content, and to have changed very little over the life of this business is not only a poor reflection of the business but is also a poor reflection over the ODP editors and ODP project in general. First off this site is set up as an all Flash site. To see how many pages are listed in Google for this site we can perform the same test using Google Search, site:aabstract.com. According to the search engine results pages there are about 13 pages listed for this company. We will also take a look at the archives for this website. From an Internet Marketing standpoint using an all Flash website is not the most practical in terms of getting properly indexed by the search engines. Search engines need to have body text in the pages, not graphic representations of text. Most well respected experts all agree that this type of site design is a detriment to SEO, Search Engine Optimization. From the results listed in the Google Search we can see several pages where the Titles and Descriptions simply do not make any sense. We see a couple of pages with Titles as “Untitled Document” as the actual text of the page in the Google Search results. How much sense does this make from an Online Advertising and Internet Marketing perspective to have this type of title? Don’t forget, this is an Internet marketing, Online advertising, and Web branding company. Is this going to do their customers justice if an all Flash site is designed for their clients? According to their last copyright was 2004 on the home page and 2003 on the contact page and others. According to the Google algorithm, 5 pages were displayed for a total of about 17 pages that are similar. Additionally, take a look at the Internet Archive Way Back Machine results for aactivate.com. First impressions from a technical nature have to do with the first clue being the copyright date. I could understand if one or two pages of a hundred page website had the wrong copyright dates listed. Even a site that was a couple of months into the new year, but not having proper copyrights that are nearly three years behind is just not paying attention to details. Additionally, this is less than a 20 page website, and it should be a piece of cake to update the pages. Second clue to something that is wrong is the Google Search Engine results showing very little quality content in the displayed results for the company. There is some underlying problem within the pages to produce these types of results. The third clue that something is not quite right has to do with the archive listings, which in fact show very little changes over the past four years. I took the very first three results from the Internet marketing category at the Open Directory Project. I did not pick and chose the sites just so I could say some derogatory comments but I did it with online proof, and simply started at the top and went down the line. The Open Directory Project has a problem. Why there is a problem could be debated for a long time with many different perspectives. But, just looking at the top three case studies from this one category shows something is not being done properly. The top three sites provide very little in the way of relevant content. How this fits in the overall caring about quality and what the ODP prides itself in is beyond me. We care a great deal about the quality of the ODP. We aren’t a search engine and pride ourselves on being highly selective. Well, they certainly are highly selective. Maybe there just is a little too much pride going on here. I am not sure if this can really get cleaned up. I am sure that other parts of the ODP fail in much the same way as the Internet marketing one does. One thing that the World Wide Web can be sure of is, Professional Web Services, Inc., We Will Tell It Like It Is, And Do It With Style! Internet Marketing Services, Online Advertising Strategies, And Website Branding Solutions Today To Provide More Sales For Your Business Tomorrow. 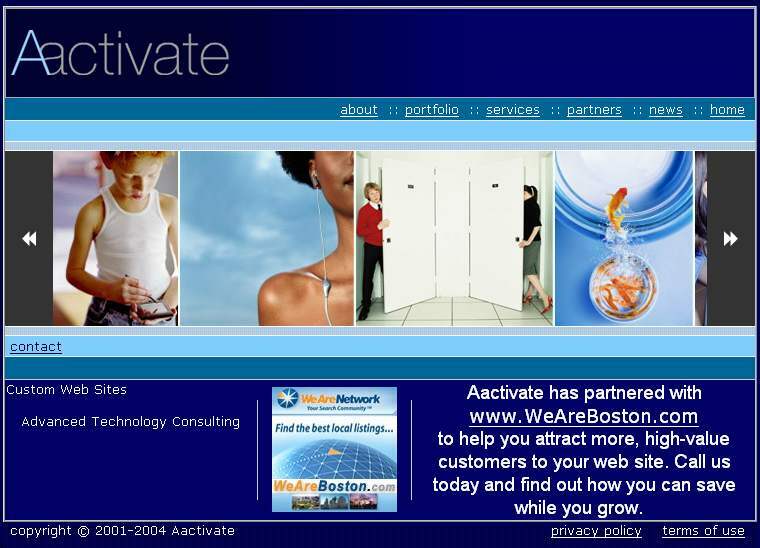 Contact Professional Web Services provider of Services, Strategies, and Solutions. How long should I wait before I resubmit? The simple answer is “forever”. The ODP submission guidelines used to say to do it every month, but this has been rendered unnecessary by changes in how the ODP works. Once a submission has been received, it will never go away. It will sit in that category, awaiting review. Submissions do not expire. So the preferred method is now to suggest the site to the category and wait at least a month. If, after a month, the site has not appeared, then feel free to submit one more time only. Please note that a new submission to the same category overwrites the previous one. Editors have many ways of sorting the pool of unreviewed sites in a category and one of them is by submission date. If this is the case, then a resubmission will show up further down the list and may end up taking longer to get reviewed.